A sleepy British county has been declared the home to the world’s best lager – found in Sussex. Belgium was topped by a small Sussex brewery at an international beer awards where drinking experts blind tasted numerous competitors worldwide. 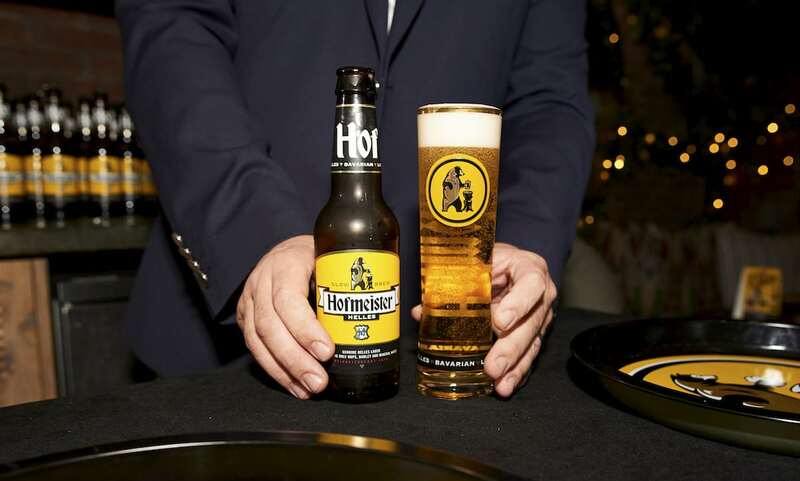 The beer from the Hofmeister Brewing Company is the first lager to be awarded five stars in the 2017 IWSC Beer Awards – 13 years after it was removed from the shelves due to poor sales. Richard Longhurst, co-founder of Hofmeister Brewing Company, said: “We did not just want to bring back a famous beer brand. “We wanted to re-invent it for modern beer drinkers who are looking for authentic, craft beers with genuine provenance. The lager has several high profile fans including rugby union players Matt Stevens, David Strettle and Adam Ashley-Cooper. Hofmeister lager. A sleepy British county has been declared the home to the world’s best lager – found in Sussex. Hofmeister’s old flavour was transformed by the brewery in Crawley, West Sussex, by taking inspiration from the roots of Bavarian beer and using only traditional methods and ingredients. The five per cent lager is slow-brewed, golden blonde in colour and rich in flavour. But Hofmeister Brewing Company co-founder, Spencer Chambers admitted it had been a tough year. He said: “This time last year we had exactly zero customers and zero credentials. Today we are now stocked in 150 of the UK’s best pubs, bars and restaurants.